Two football players, Joe Sternaman and Edward “Dutch” Sternaman played for the Staley Bears in the 1920s. 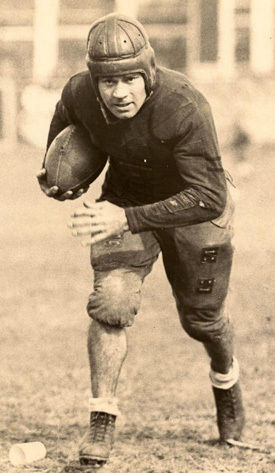 Dutch helped George Halas put together the Decatur Staleys, who were to become the Chicago Bears. Joyce Howe, daughter of Joe Sternaman and the niece of Edward “Dutch” Sternaman, was recently conducted on a personal tour of the Football Hall of Fame in Canton, Ohio, including a behind the scenes look at the Sternaman collection, most of which is not ready for public viewing.